#000578 - Houghton Mifflin 'Book Club Editons' of The Hobbit and Lord of the Rings - Unusual format - $150.00 An unusual set, matched in size and format, four volume hardback set. These books may have been a book club edition as they are unpriced. 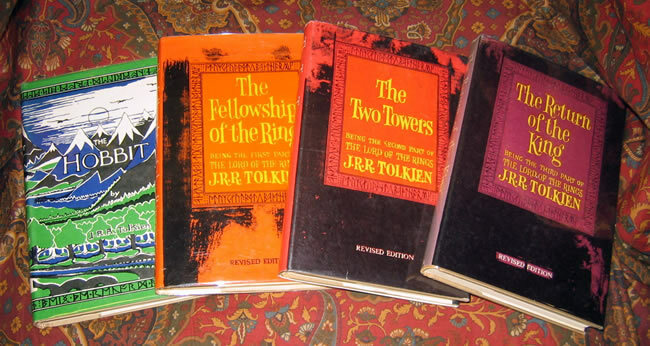 An unusual set, matched in size and format, four volume hardback set. These books may have been a book club edition as they are unpriced. Houghton Mifflin , Second Editions, Fellowship of the Rings is a 4th impression, The Two Towers and Return of the King are marked as 3rd impressions, where the Hobbit is a 25th impression. The size and format looks the same as the Pirated Taiwan editions. The books are slightly dusty, otherwise a bright set of this classic of fantasy literature. 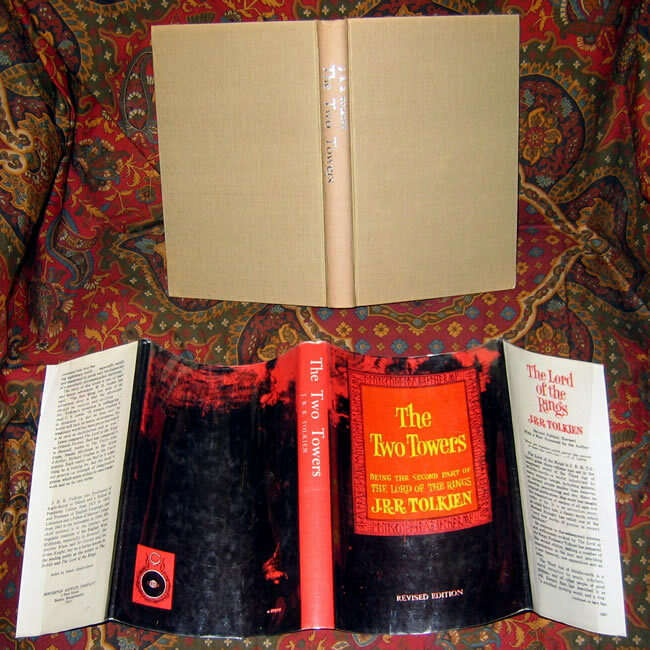 The set is in original light tan cloth with original dustjackets. The books are all Very Good Plus. 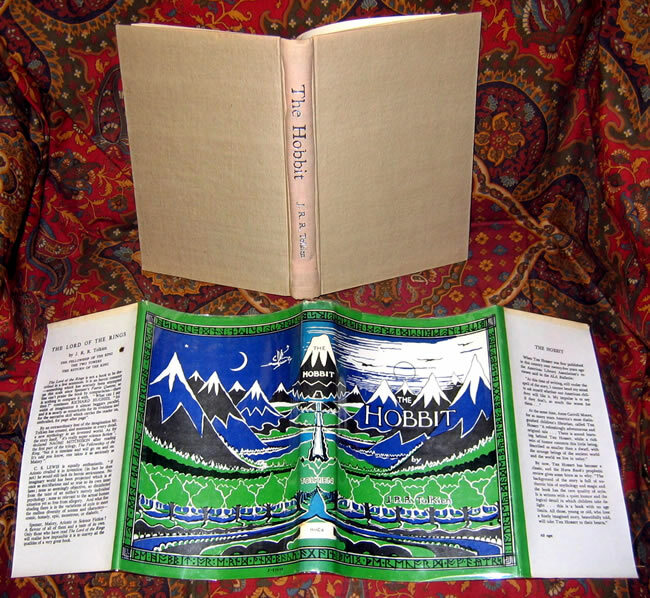 The Hobbit has a pair of initials, the other books have no other writing, names, or dates, and only a slight bit of offsetting to the endpapers. 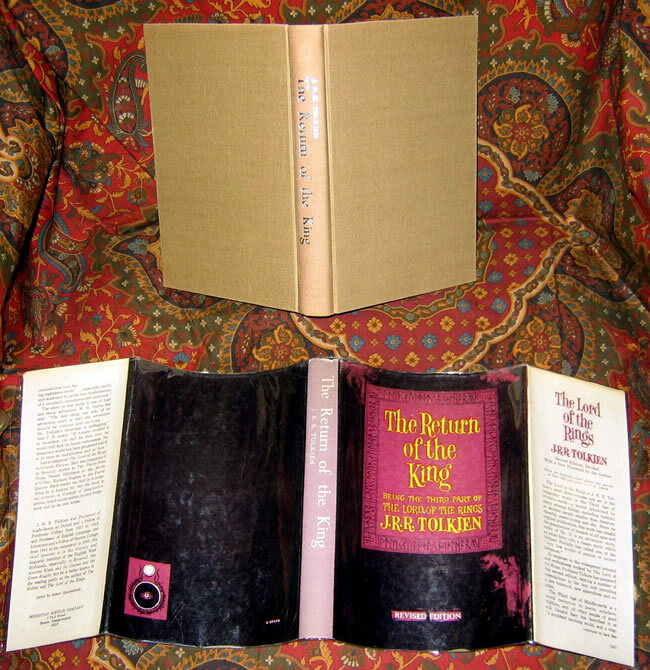 The dustjackets show a small amount of wear to the edges of the dustjackets, and the spines show a light amount of the usual fading on the Return of the King. blindstamp to the rear boards. 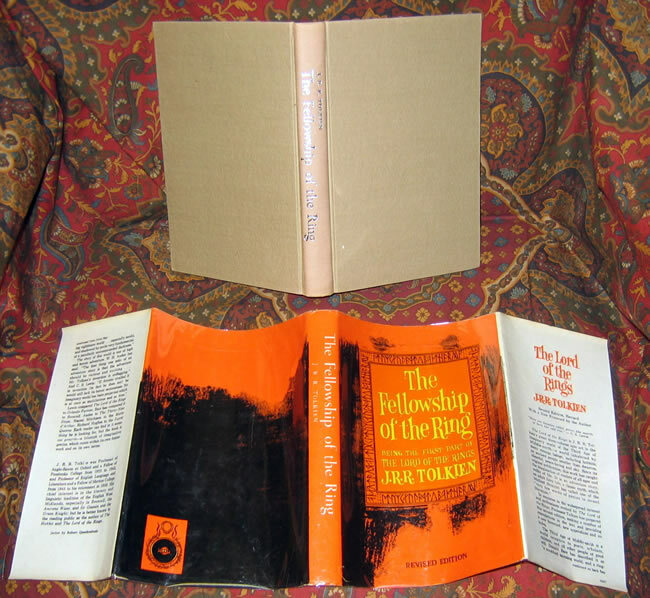 Original maps are attached at the rear of the 3 Lord of the Rings books, where the Hobbit has its maps included in the text instead of as endpapers.